Heart shaped helium balloon. 45cm across. Happy Birthday"! 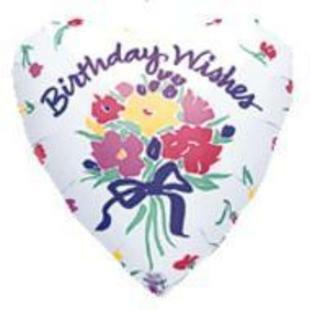 We have many types of happy birthday balloons. If pictured balloon not avail we will substitute. Must be purchased with flowers or hampers.